Snow on the hills is great, but it’s best not to go out walking when it’s actually snowing, so last weekend I took the easier option and spent it indoors at the Outdoors Show at London’s ExCeL conference centre, if that’s not too much of a contradiction. Although I’ve been to the ExCeL (sic) before for boring business conferences and the Olympic table tennis last year, it was my first time at the Outdoors Show. It’s one of those consumer trade shows where punters wander around stalls and people try to flog them stuff, but they also had an Adventure Stage hosting a few talks by celebrity adventurers, so I thought I’d go along and listen to some of them. The stage was squeezed into a corner of the bazaar next to a kids’ activity area containing a zipline and a bouldering wall where they were blaring out loud dance music. As you can see from the photo, there were only a handful of seats, and most people had to either sit on the floor or stand up at the back, encroaching into one of the walkways where people were pushing past. The unenclosed location created further distractions because people were constantly moving around, joining and leaving again, instead of staying to listen to the whole thing. I was hoping to hear Kenton Cool, the British mountain guide and ten times Everest summiteer, talk about how he carried an Olympic gold medal to the summit of Everest last year, but above the din it seemed unlikely I would be able to hear anything at all. To be fair to Kenton, he attracted a slightly bigger audience than you would expect to find in the gents’ toilet at Burger King (unless George Michael is playing). This didn’t surprise me, I’ve seen him lecture before about guiding a fingerless Sir Ranulph Fiennes up the North Face of the Eiger, and I knew him to be a slick and engaging speaker. Happily, despite the miserable environment, Kenton was able to ignore the distractions and get on with effectively communicating a very interesting presentation. The subject of his talk was quite well-publicised during the run up to his expedition last year, when Olympic fever was starting to take hold in the UK. Photos of Kenton standing in front of Everest with an Olympic medal (and looking uncannily like Steve Coogan playing Alan Partridge) appeared in most of the national newspapers in the UK, and the story will be familiar to many of you reading this. All the team members of the 1922 British Everest expedition were awarded Olympic gold medals at the 1924 Winter Olympics in Chamonix, and when the expedition’s deputy leader Lt Col Edward Strutt went to collect the award, he promised they would put one of the medals on the summit of Everest, a detail recalled by Baron Pierre de Coubertin, founder of the modern Olympics, in his memoirs. However, it was nearly 30 years before the summit was reached, and by then the pledge was long forgotten. Kenton began his talk with some historical background, of how he thought the 1922 team’s performance, despite not reaching the summit, was the most heroic performance on Everest until Reinhold Messner climbed it solo without oxygen in 1980. 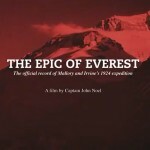 It was the first time anyone had tried to climb Everest and they were pioneering the route. George Mallory, Edward Norton and Howard Somervell reached over 8200m, a world record, without oxygen. A few days later George Finch and Geoffrey Bruce, climbing with supplementary oxygen, went over 8300m. Meanwhile Baron de Coubertin was thinking about how to incorporate mountaineering into the Olympics. The Olympic motto was Faster, Higher, Stronger, and the Baron felt mountaineering embodied the “higher” part perfectly. Kenton said that as soon as he heard about the story of the Olympic medals for climbing Everest he believed he had a mission to honour the pledge, and that 2012, when the Olympics were being held in London, was the time to do it. He tracked down one of the original gold medals to Canada, in the possession of Charles Wakefield, grandson of 1922 expedition doctor Arthur Wakefield. He described his sense of awe when the medal was entrusted to him to take to the summit, and he speculated about how much they would need to insure it. By a stroke of serendipity Kenton’s PR man then spotted Lord Sebastian Coe at Heathrow Airport. He barged past and managed to stand beside him on an escalator, where he had 30 seconds to give his “escalator pitch”. 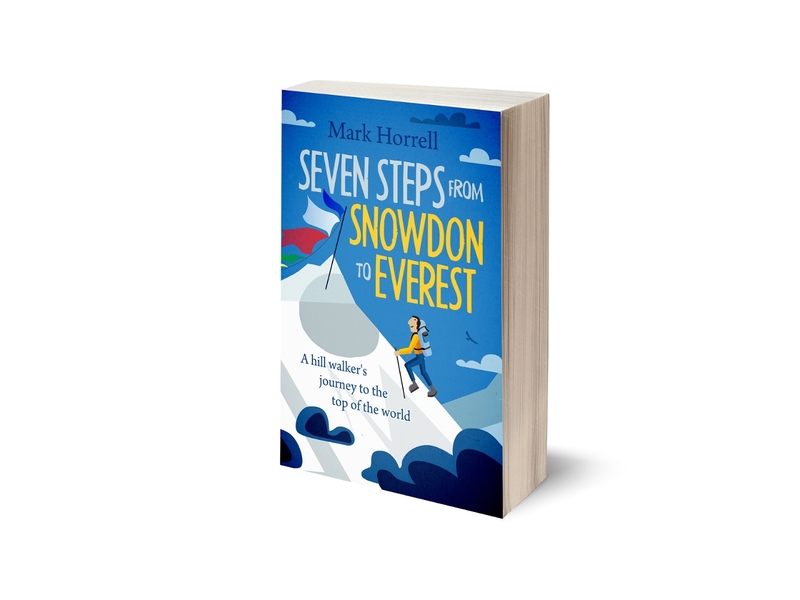 He briefly described how Kenton wanted to take the gold medal up Everest, and by the time they reached the bottom of the escalator Lord Coe promised to give them whatever support they needed from the 2012 Olympic organising committee. The remainder of Kenton’s talk described the 2012 Everest season itself, when 10 people died. As I was there myself I’ve talked a lot about it already and don’t want to bore you with any more (if you’re interested then by far the best summary of the 2012 season can be found on Alan Arnette’s blog. Some of the posts I’ve written myself include a summary of my own expedition, thoughts on the subsequent media furore, and advice to potential Everest climbers). It was interesting to hear Kenton’s perspective though, so I’m just going to touch on it briefly. Most of the media attention focused on the queues of climbers and deaths that happened on the south side of the mountain on May 19th, which he believes were completely preventable. 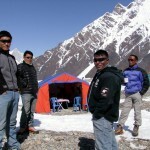 He said that a successful Everest ascent needs at least a 48 hour weather window, but the weather window which appeared in forecasts for 19th was only 18 hours long. He took one look at the numbers of people departing for the summit, and decided it wasn’t safe. He waited for the slightly longer weather window which appeared on 25th/26th May, when a great many climbers summited without mishap. 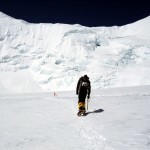 He felt many of the climbers who rushed for the May 19th window were inexperienced, and exacerbated a bad decision to go in the first place by making poor decisions on summit day. The implication of this (though not explicitly stated by Kenton) is that most of the climbers departing in the later window were more experienced, and this may be one of the reasons why so many of them were able to summit in safety. (In case you’re wondering, we summited on May 19th as well, but we were on the north side of the mountain where there were far fewer climbers and the conditions were very different. We also expressed concerns about the diminishing weather window, but ultimately agreed we had time to get up and down safely). Despite his criticism of some of the climbers last year, he’s a commercial guide and his enthusiasm for climbing Everest shines through with all he says. This enthusiasm remained even as he approached the summit, when he remembered the Olympic pledge and delivered a speech to the camera as he made the last few strides. 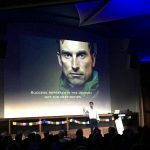 On the subject of commercial climbing on Everest Kenton explained how the superstar Swiss climber Ueli Steck, who also summited Everest last year, said to him, “If you’re looking for adventure don’t go to Everest.” But all things are relative. If you’re Ueli then perhaps climbing Everest isn’t that exciting, but it certainly felt like an adventure to me, and Kenton’s presentation will have inspired the same feeling in many other people in the audience. The talk overran, and waiting to go on next was the BBC children’s TV presenter Helen Skelton. I was curious to see how many people would stop around to listen to her. I assumed there would be many more than there had been for Kenton. After all, mountaineering is still very much a niche interest, while Helen Skelton is able to attract a huge national following by means of a prime time TV slot with Blue Peter. She has also done some fairly extreme outdoorsy things, such as kayaking the length of the Amazon, crossing Battersea Power Station on a tightrope, and kitesurfing to the South Pole. Here’s how Helen’s audience compared. As you can see, Kenton proved to be much more popular, which I found quite surprising. It certainly wasn’t because of his looks. Part of it is certainly due to the fascination Everest has in the public imagination, eclipsing interest in all other mountains put together. Partly it may be due to the audience itself. I hung around for part of Helen’s talk and it was certainly pitched at a much younger audience, as you would expect. Kenton did try to tailor his presentation for some youngsters at the front, but he isn’t quite as natural at it as Helen is, and his concessions included pausing to explain what glaciers and avalanches are to anyone in the audience who didn’t know (“frozen rivers of ice” and “when snow falls down the mountain on top of you”, in case you’re wondering). But part of it is undoubtedly due to Kenton himself. He certainly knows how to market himself, and while this sometimes leaves him open to accusations that he is a climber more concerned with style over substance, he deserves credit for being one of only a handful of mountaineers able to raise the profile of his sport and ignite mainstream interest in it.